Calgary, AB, Canada: After 6 months of stealth mode, today Bidali announced the launch of Bidali Gift Cards, a quick and easy way to spend cryptocurrency at over 120 top brands like Uber, Apple, Walmart, Best Buy, Microsoft, Amazon and Nike from all over North America. 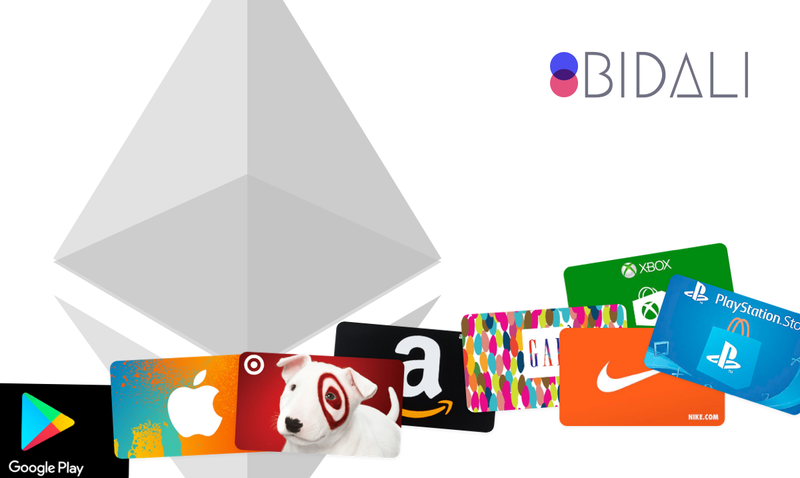 Powered by their soon-to-be-released crypto payments platform, Bidali currently supports payment with Ethereum and is compatible with the most popular wallets, including the Metamask browser extension. “Our mission at Bidali is to build high quality tools for developers, and products for end users that make crypto easier to use, trade and spend. Making crypto easier to use will naturally bring more adoption, and we’re really pushing hard to be a pioneer in usability. 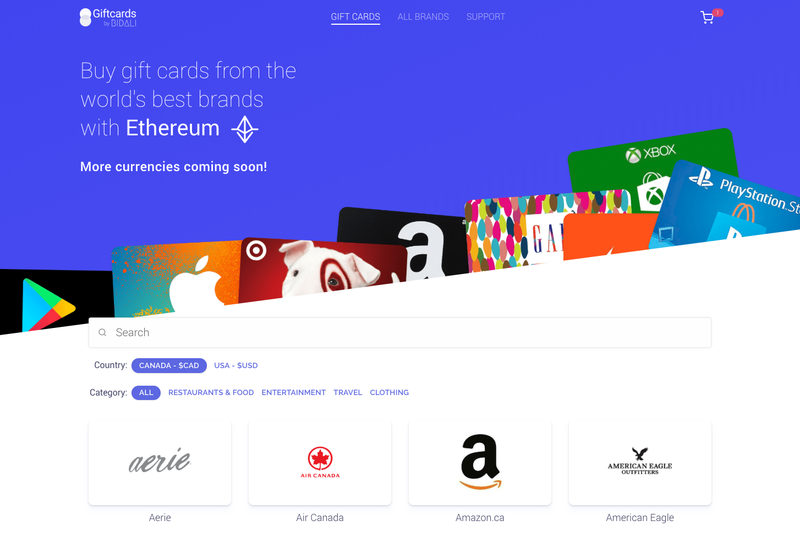 With the launch of our e-gift card site, we are enabling customers to realize their crypto value by easily and quickly purchasing high quality goods, services and experiences from vendors that might not support crypto payments right now.” says Eric Kryski, CEO of Bidali. Support for Bitcoin, Litecoin, and other currencies are planned for the future and will be available later this year. Since starting their initial beta testing they have also received interest from exchanges and decentralized platforms like Choon – a blockchain powered music streaming service to allow their users to quickly convert their cryptocurrency into a form of payment that is more readily spendable. About Bidali – Bidali is re-imagining commerce. By building thoughtfully built tools for developers and beautifully designed products that incorporate blockchain and other distributed ledger technologies, they’re empowering people to transact on a global scale in more open, secure, and efficient way. Learn more at bidali.com. You can also follow them on Twitter, Facebook, LinkedIn, Telegram.